Sometimes we want the right to pass. We want to not have to deal with something or participate in something because, for us at that moment, it is just not what we want to do. Sometimes we may want to pass on something but we still participate and regret it later if we felt cajoled or somehow pressured into participating. How often do we try to cajole, coerce, guilt-trip, emotionally blackmail or volunteer other people to participate in something? Why do we do that? For their own good? How do we know better than them what is 'their own good'? Not giving people the right to pass is the basis of peer pressure and a classic example of the negative consequences of this is the pressure put on young people to smoke by their peers. While they may smoke to try to look mature, the very act of succumbing to peer pressure is a sign of their immaturity and insecurity. Sometimes of course they do simply want to smoke and the decision is a free one, but where it is not, it is a good example of this Principle not being practiced by peers. Of course, let's not fool ourselves for one minute that it's only young people who apply peer pressure or who succumb to peer pressure. Adults do both on a frequent basis. Our societies often deny people the right to pass on various things such as how to look, how to dress, what car to drive, what job to do, where to live, how to live etc. and I'm not talking here about the things defined by our laws. 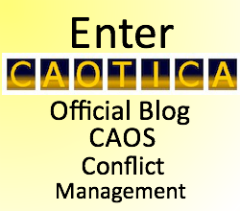 Alan Sharland, author of this website, now has a blog associated with his organisation CAOS Conflict Management - click this banner to read more or sign up for its newsletter below the banner. We have all implicitly signed up to our laws as citizens of our respective countries. I'm talking about the things that are not illegal, and yet pressure is applied on others to act in certain ways and often the pressure is succumbed to and people are not considered to have the right to pass. An impact on Effective Communication of not practicing this Principle is that people who are not allowed to pass will become ‘cagey’ about their thoughts and feelings in case they are pressured into participating in something as a result of speaking about them. Sometimes parents don’t practice this Principle. We may know friends who say their parents wanted them to be lawyers or doctors or in some other profession, and in many cases they followed their parents’ wishes, often later regretting that they didn’t follow a path that their heart told them. They were volunteered by their parents to follow the path and they weren’t given the right to pass by them. Of course ultimately, we all choose to do what we do, nobody forces us, but we often only realise this many years later. Unfortunately by then, a lot of resentment and regret can have arisen and a relationship may well be severely damaged. At work there is often pressure to ‘go down the pub’ or conform in some other way with what others are doing, and resentment can build towards those who try to pressure others who do not conform. Or the non-conformer can feel a sense of isolation if they do pass. The consequences of not applying this Principle in the way we communicate can often be destructive responses to conflict. Recently, for example, there have been court cases arising from the pressure on some female employees in the UK's finance industry to conform to the expectation that they take part in the 'traditional' practices of taking clients to strip clubs or lap dancing clubs or out on heavy drinking sessions. This is clearly not part of their job description but some have not felt they had the right to pass. The communication associated with this is likely to have implicitly denied the right to pass on the activity. Ownership of the choice to participate or not is, apparently (though not actually) taken away and so destructive responses to the conflict are likely to arise. There are many situations in which this Principle is not practiced in life and consequently communication breakdown occurs and destructive responses to the conflict arise. The Principle is very much rooted in the concept of acceptance of another's views and values and right to make a free choice about something. Many of us tacitly agree with this concept and yet the nature of our communication can contradict that agreement, if we are not aware of whether we practice this Principle within it. 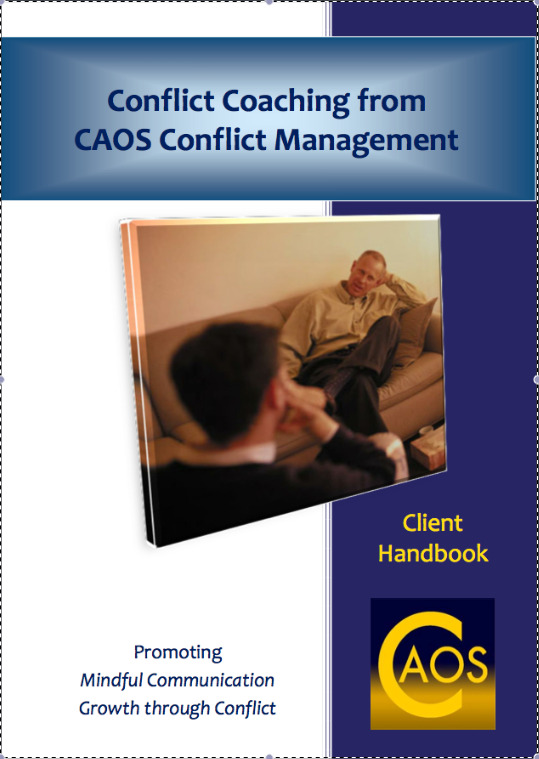 This Principle is directly related to the Underlying Philosophy of Mediation of Ownership discussed in the Conflict Resolution section of this website.